Here’s a project that I completed back in April and I’m just now getting around to posting it. Its funny – I’ll do a project, work hard to complete it and display it and then the newness wears off and I forget that I haven’t posted any pictures. I may have an obsession with maps and globes. It’s my hope that it creates curiosity and a sense of exploration with my children. 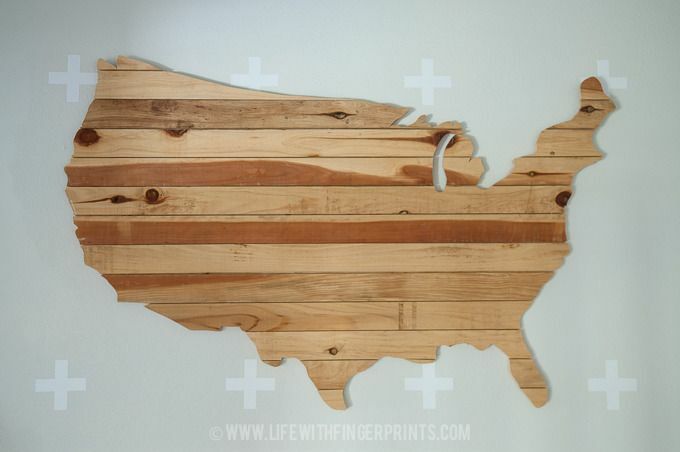 This wooden DIY USA wall art is my new favorite wall decor and it was easy. I’m not just saying that…really. In fact, I had a friend do this project with me. A friend who had never picked up a jig saw before and she will agree, this is much more manageable than it looks. 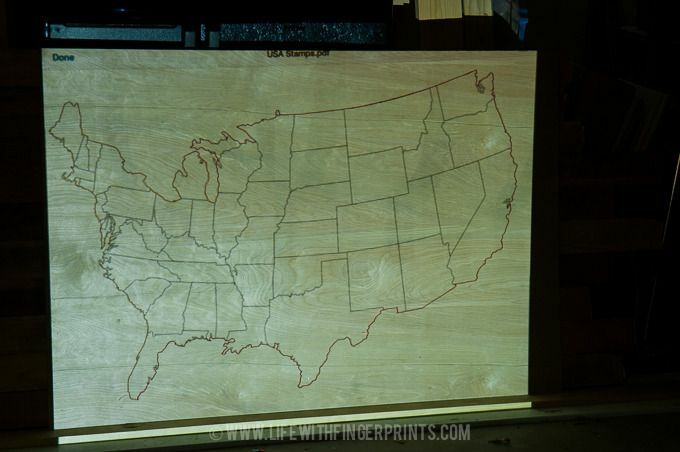 Start by cutting a sheet of plywood roughly to the size of your desired map size. Home improvement stores will gladly cut this to size for you. Mine is almost 6 feet wide. 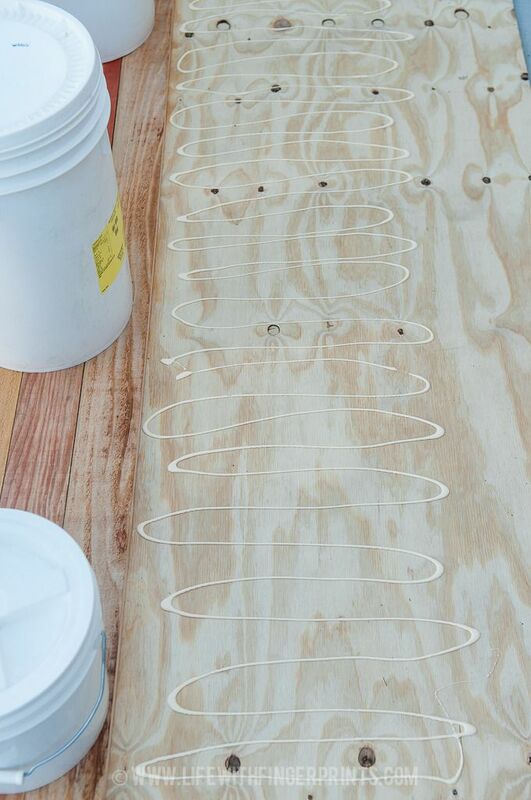 Lay out how your planks are going to sit on your plywood. I chose inexpensive cedar fencing with a horizontal pattern. 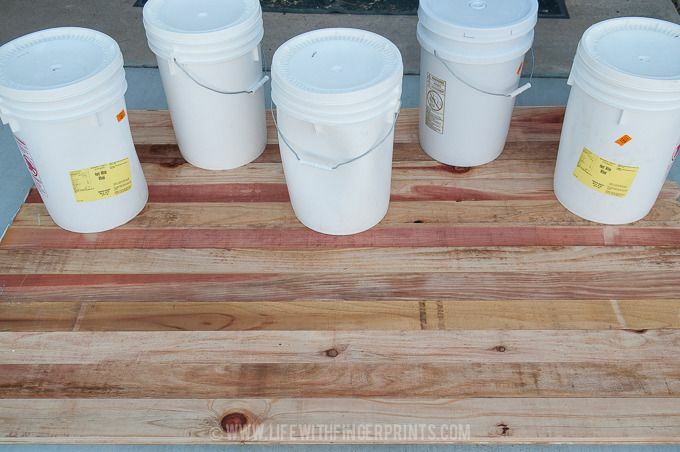 Glue the planks to your plywood. I used heavy buckets of wheat to keep it flat while drying. You could just as easily throw some nails in the back to keep it in place as it dries. 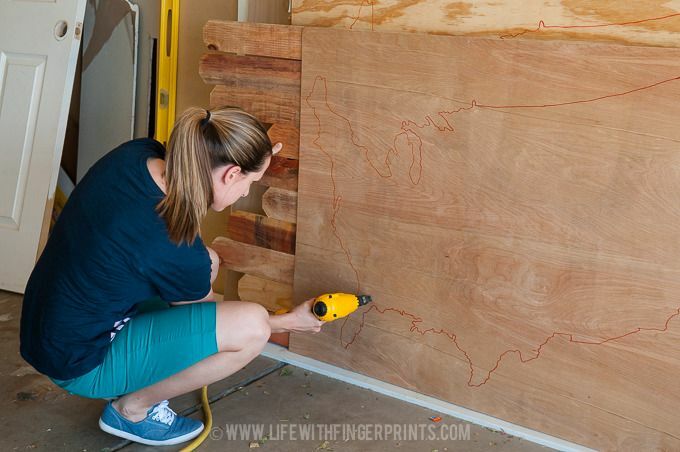 Once it’s completely dry, trace a backwards map on the plywood side using a sharpie marker. I used an LCD video projector, but an overhead projector would work with a transparency. Once the map was traced, I reinforced the entire perimeter of the map (on the inside of my tracing) with nails from my nail gun. I knew that the jig saw would be reciprocating and may cause some of the smaller pieces to come unglued – this helped keep everything together. 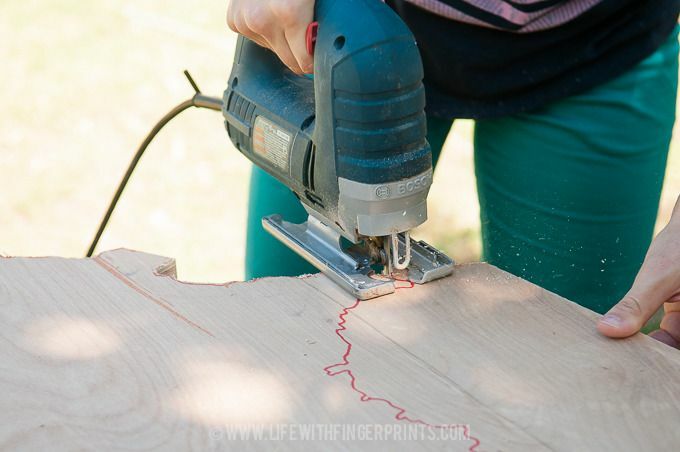 With the plywood side up, using a jig saw, slowly cut along the marker line outlining the map. There are a lot of intricate pieces in the USA and I didn’t cut every little piece, a jig saw isn’t meant for fine cutting. Some cuts you’ll need to come at it from several angles in order for it to work, but be patient. At first you’ll want to try and follow every little curve and line, only to realize you really don’t need to. 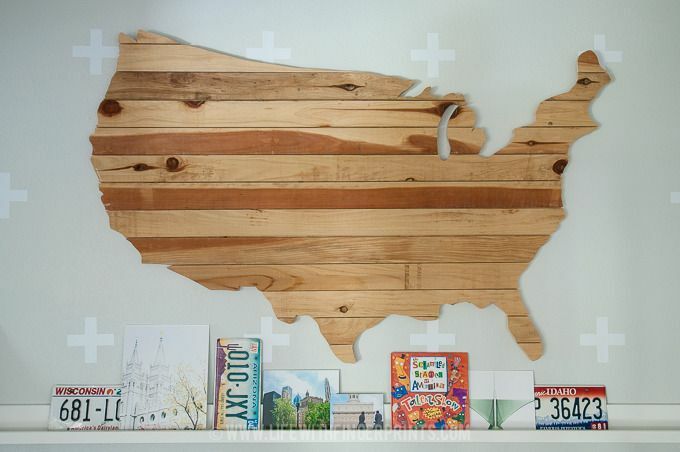 Depending on your size of map, the cutting out may take an hour or two. Go slowly. Take breaks – or else your hand may fall off from the vibration of the saw! Flip it over and admire your work. You may see areas you want to clean up just a bit – or be more intricate on and if thats that case, flip it over and keep cutting. I decided to keep this piece a little rustic. I sanded just a few of the edges to make them nice but I didn’t sand the entire piece. I liked the rough wood – it had character and charm. I also chose not to stain it, because I liked the variations of color in the wood. 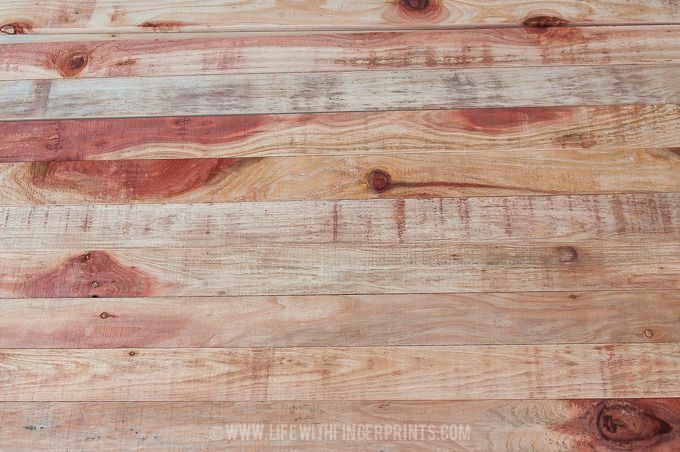 But you can choose what fits your house and style – sand and stain if desired!